Newcastle Swim Team’s Emily Large brought the curtain down on the British Summer Champs 2017 with a third butterfly gold of the meet. The 16-year old completed her clean sweep of fly titles with victory over 100m, clocking a PB 59.09 to win the 16 Yrs title. The result means Large has captured the 50m, 100m and 200m Fly titles in her age group for the past two British Summer Championships. 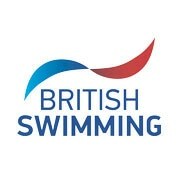 Large also reached the senior British Championship podium in April this year, touching for bronze in the 200m Butterfly. She will head to USA with the British team later in August to compete at the World Junior Championships in Indianapolis. There were English champions in three of the other four age groups for the women’s 100m Fly. Rachael Kelly (Loughborough University) won the senior title in 59.39 while Plymouth Leander’s Laura Stephens also broke the minute marker to win the 17/18 Yrs title in 59.84. City of Leicester swimmer Maisie Elliott stepped up from her silver over 200m Fly to win the 13/14 Yrs 100m Butterfly crown, clocking a PB 1:01.90. Meanwhile, 100m Free champion Kaylee Dekker (Mount Kelly) was the first English swimmer home in the 15 Yrs event, winning silver in a PB 1:02.56. Three English swimmers completed the 50m and 100m Breaststroke double with victories over 100m Breast on the final day at Ponds Forge. West Suffolk’s Angharad Evans, a semi-finalist at the European Junior Championships earlier this month, became just the second 14-year old to break 1:10 for the event as she claimed the 13/14 Yrs title in a PB 1:09.85. Guildford’s Tatiana Belonogoff was also on lifetime best form as she touched in 1:09.21 to win the 16 Yrs crown, while Loughborough University’s Imogen Clark won her third gold of the meet with a 1:08.29 effort in the 17/18 Yrs final. Another Loughborough swimmer, Beth Aitchison, was the first English athlete home in the senior final, touching in 1:09.06 for silver, while Kayla Van Der Merwe (Bournemouth Collegiate School) won the 15 Yrs crown in a PB 1:12.03.